Ready To Rock? Rosewood Annie And Civet Jenny Horror are! #Sackville | Sack-Vegas!!!! 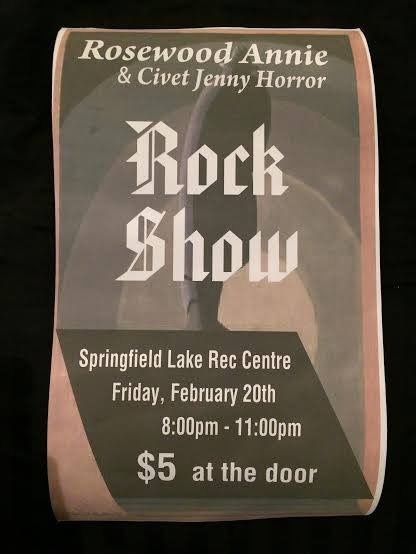 Alternative Rock Band Rosewood Annie, a bunch of Sackville kids fresh out of Millwood High School are having a show on February 20th at 8pm with the Grunge band from Sackville called Civet Jenny Horror. Posted by Sacky on February 18, 2015 in Uncategorized.